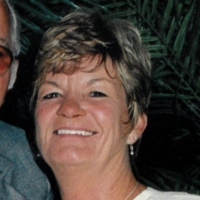 Doris Jean Biggs, age 70 of Greenbrier, died Tuesday, November 6, 2018 at NorthCrest Medical Center. Funeral services will be conducted Friday, November 9, 2018 at 11:00 AM in the Oakhurst Chapel of Robertson County Funeral Home in Springfield, TN with B.J. Phillips and Brad Shemwell officiating. Burial will follow in Springfield Memorial Gardens with Tyler Biggs, Nathan Biggs, B.J. Phillips, Brad Phillips, Bruce Crenshaw, Jr., and Randy Biggs serving as pallbearers. Honorary pallbearers will be Mike Biggs, Trey Hoover, Ben Armistead, and Bert Hutchison. The family will receive friends at the Robertson County Funeral Home Thursday from 3 until 8 PM and Friday from 10 AM until the hour of service. Mrs. Biggs was born February 16, 1948 in Robertson County to the late William “Buster” and Elizabeth Biggs Adcox. She was a member of the Eastern Star. She loved playing cards and working in her flowers. She is survived by her husband, Russell L. Biggs, Sr. of Greenbrier; sons and daughters-in-law, Russell L. “Rusty” and Necie Biggs, Jr. of Adams and James and Bridgette Biggs of Gallatin; daughter and son-in-law, Amanda “Mandy” and Brad Shemwell of Elkton, KY; brothers and sister-in-law, Jim and Shirley Adcox of Seattle, WA and Bill Adcox of Nashville; sisters and brother-in-law, Karen and Mike Phillips of Adams, Brenda Clinard of Springfield, and Ann Crenshaw of Springfield; grandchildren, Matt, Holly, Tyler, Nathan, Ellee, and Natalie; and 5 great grandchildren.